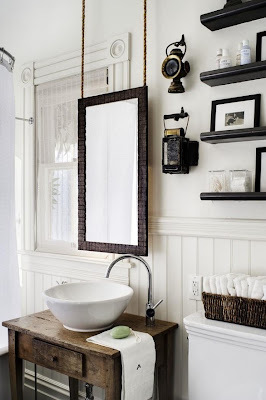 Have a tiny bathroom and don’t have space for a large wall hung mirror? Easy fix! Hanging mirrors from your ceiling not only saves you space but it also looks great!